Akash Inn provides pleasant stay at pocket-friendly prices. The rooms are compact and are furnished with minimal furniture. The ceiling and cushions have vibrant and bright colours that increase the liveliness of the room. The painting also adds more beauty to the space. The hotel offers free wifi to its residents and has power backup in case of any power shortage. It also accepts card payments to make the transactions easier. 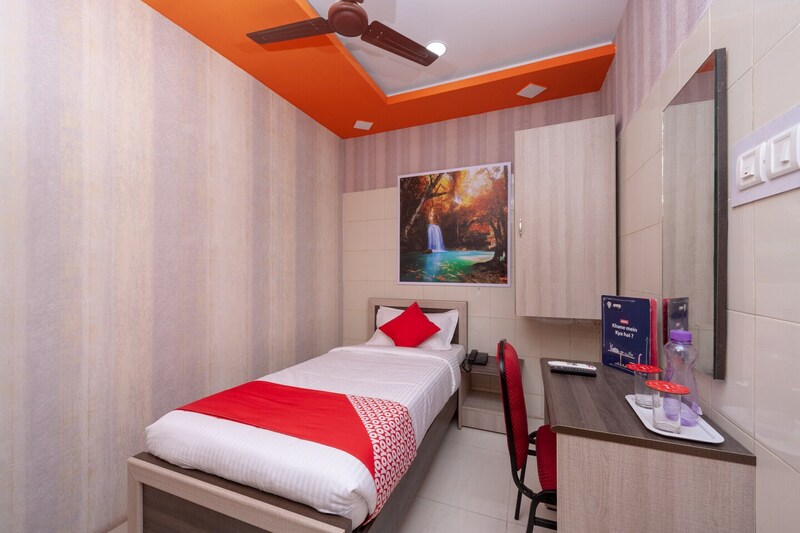 The hotel tries to provide a comfortable and appealing stay to the travellers.